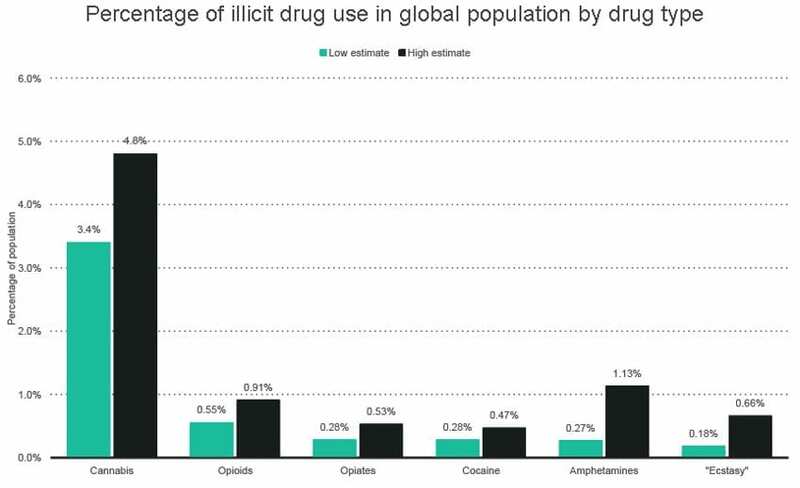 Humans and drugs have a long and complicated history. 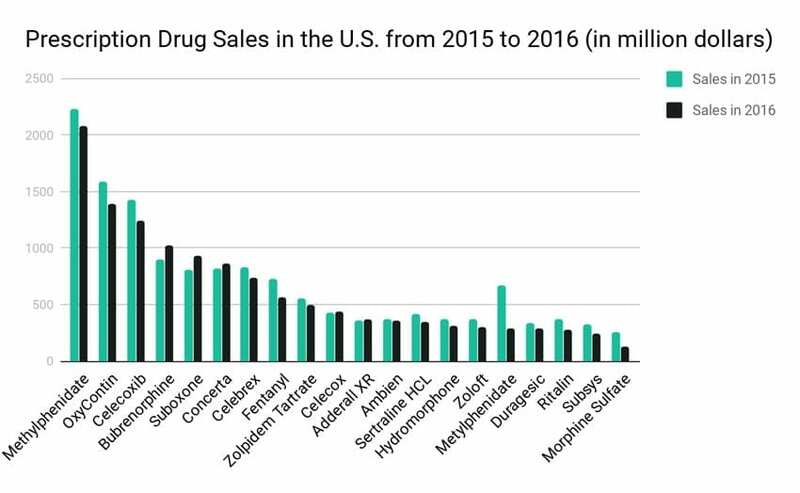 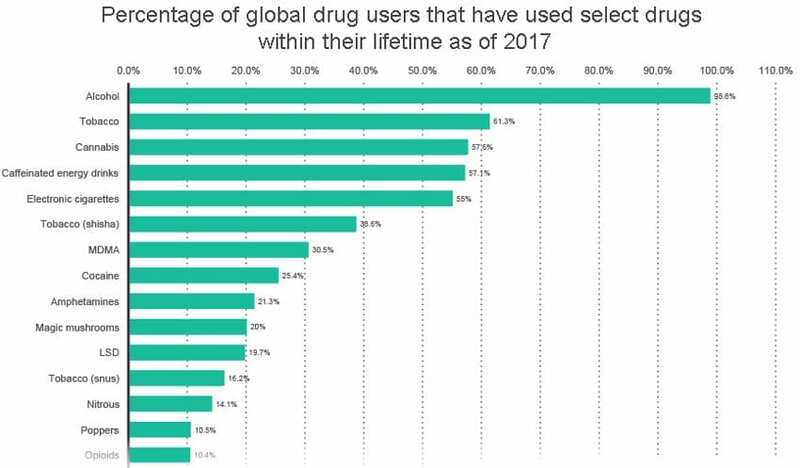 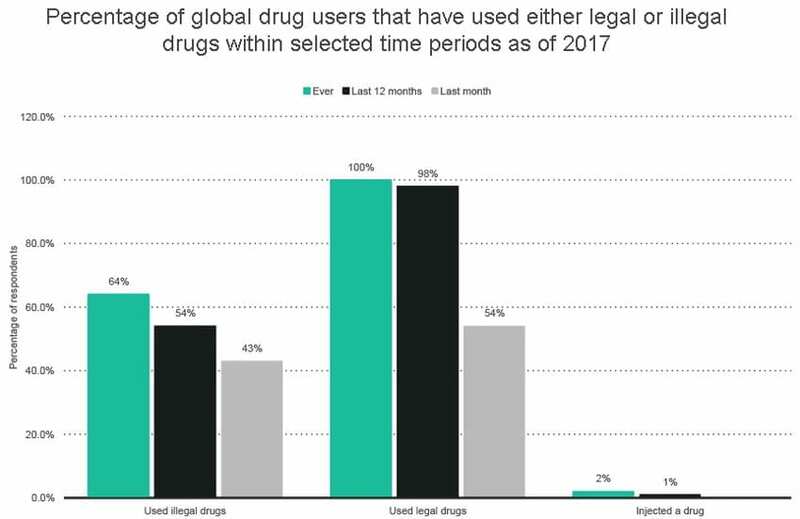 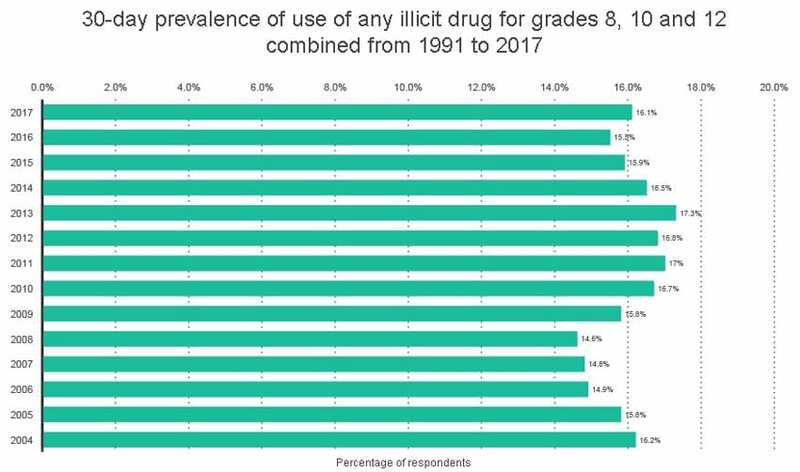 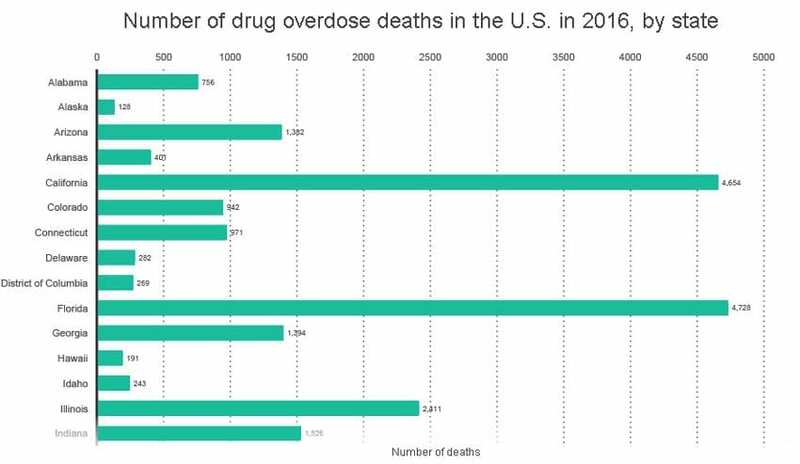 People have been using different sorts of drugs for centuries, be it for medical or recreational reasons, but only recently, the problem of drug addiction has reached epidemic levels across the globe. 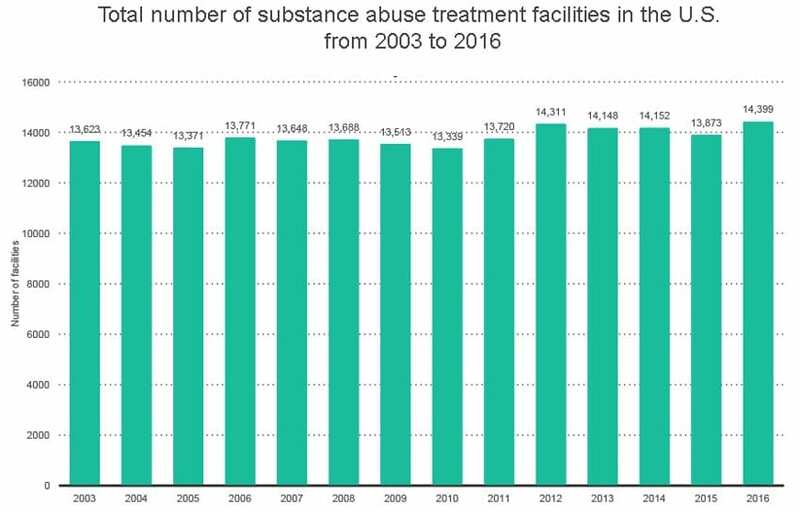 Our team has collectively spent hundreds of hours working on the current drug use and abuse statistics to provide you with a comprehensive report on the current stats and trends among drug users. 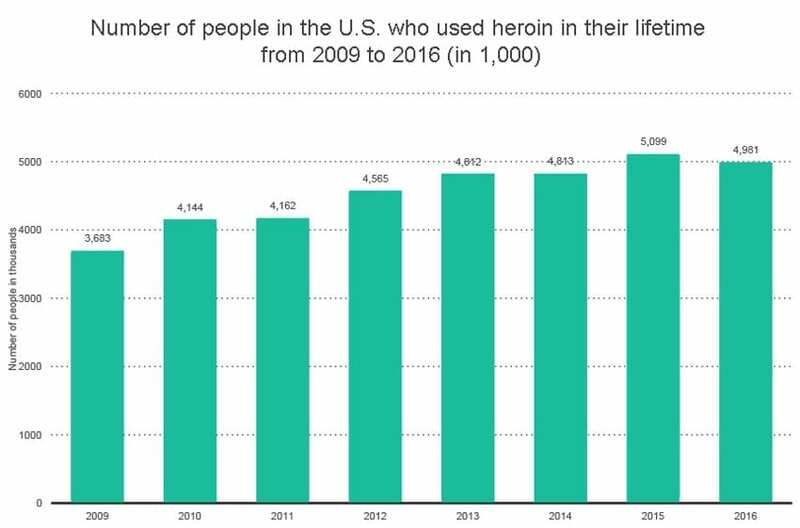 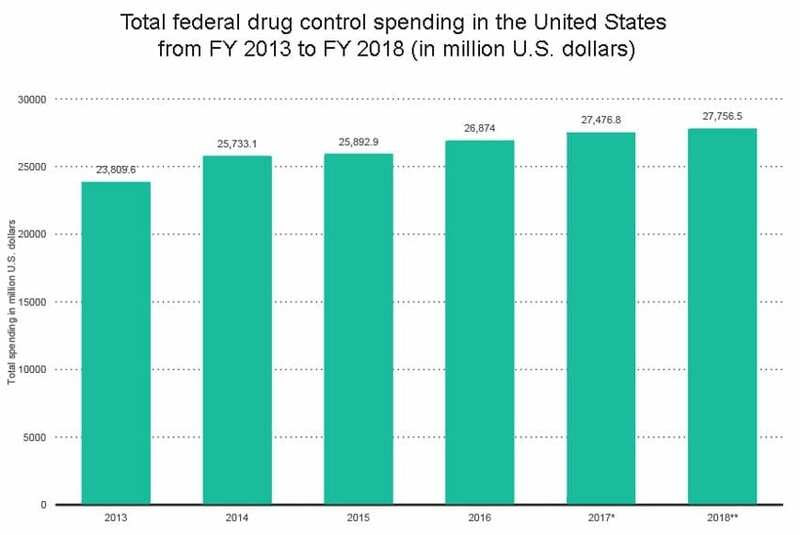 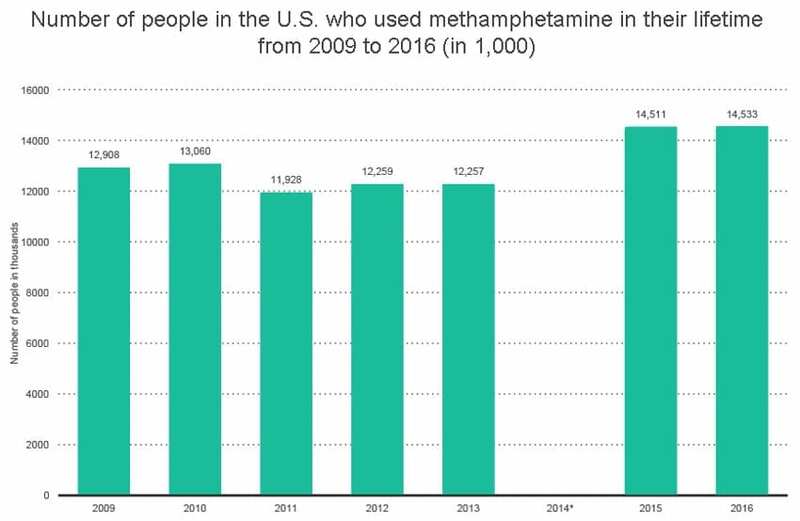 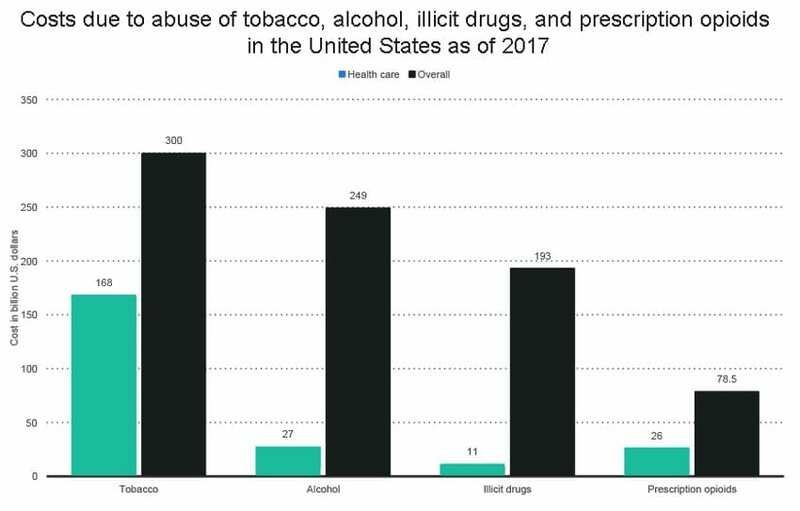 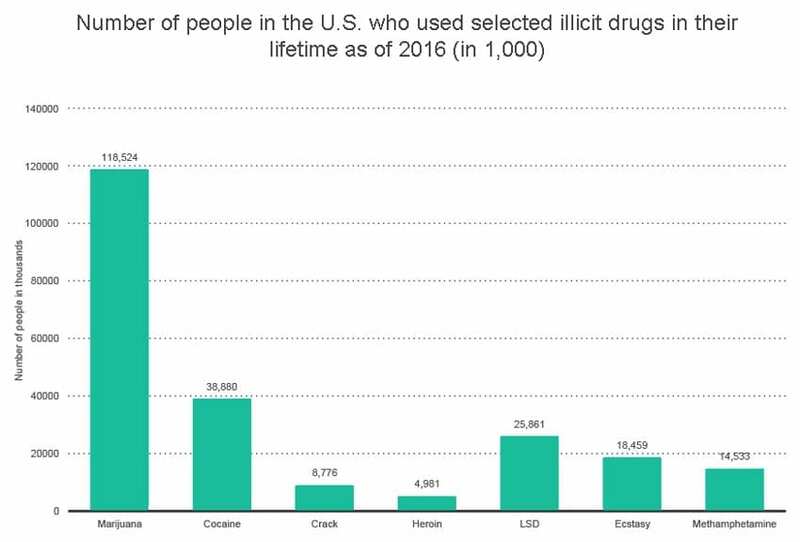 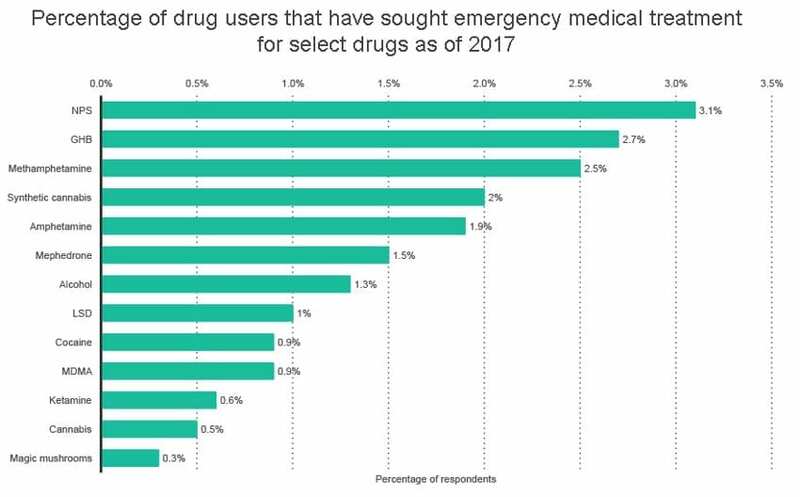 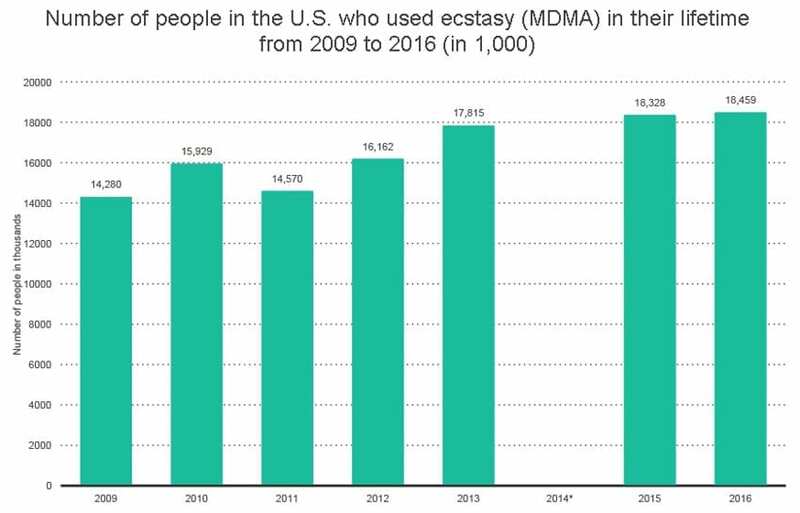 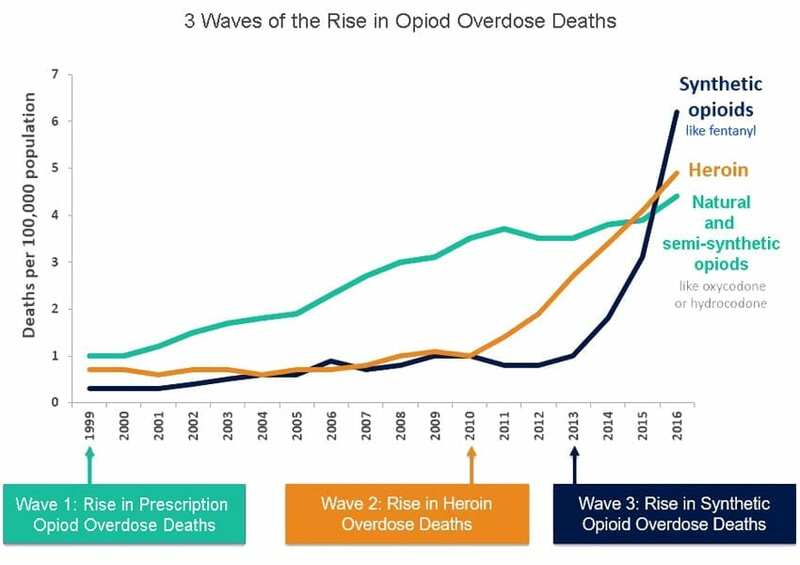 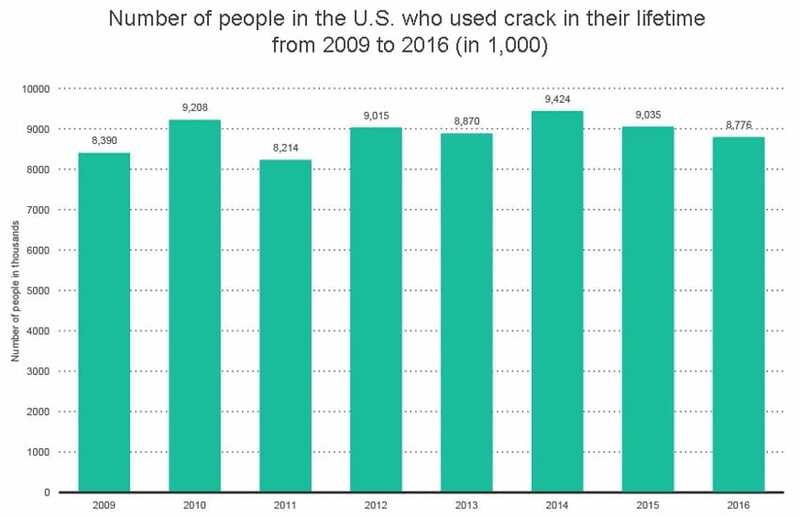 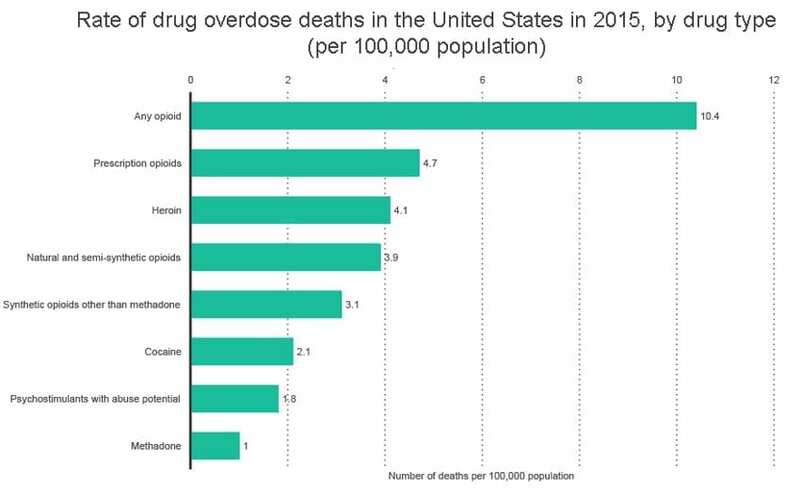 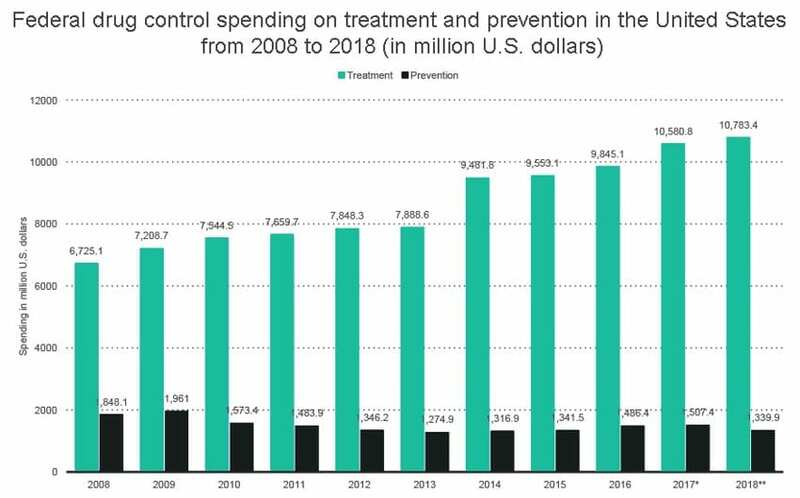 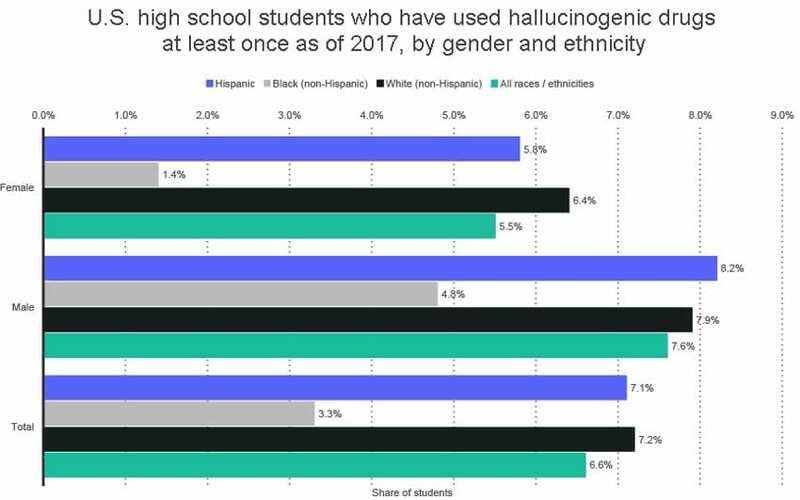 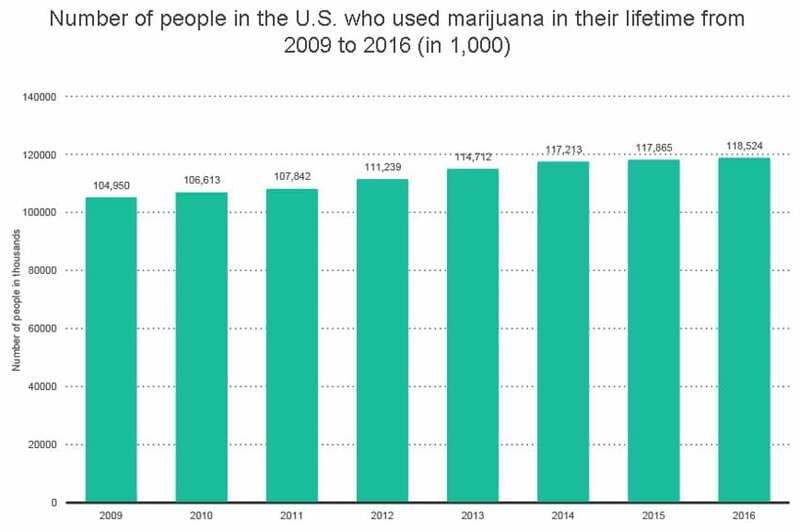 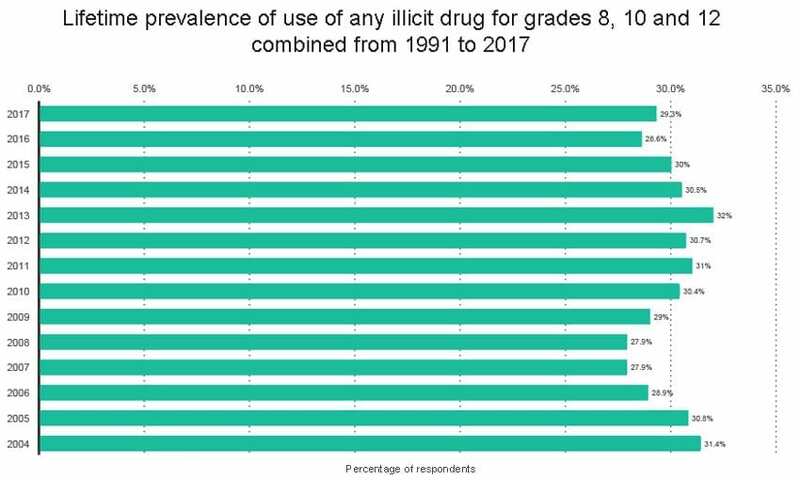 The report covers a variety of drug-related issues, such as illicit substance abuse and overdose rates, emergency room data, prevention and treatment programs, and other research findings. 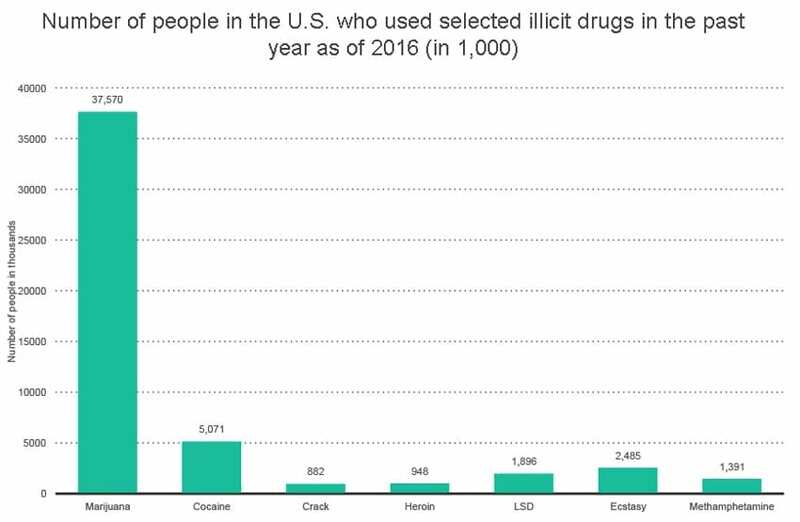 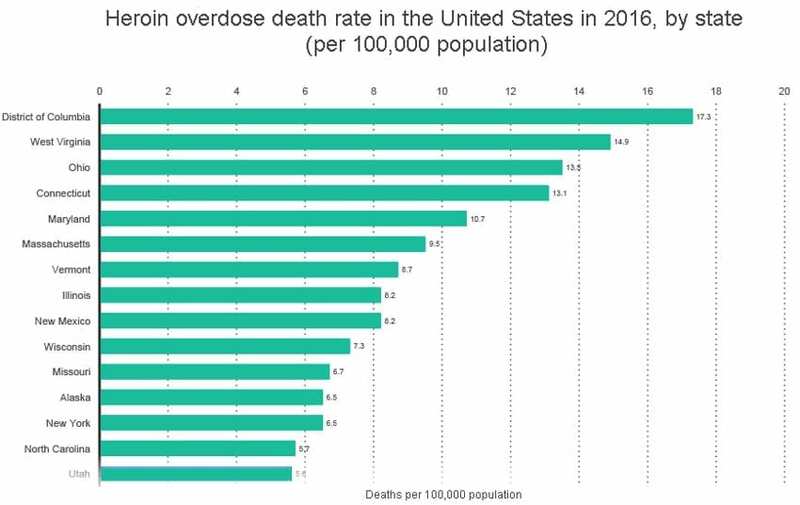 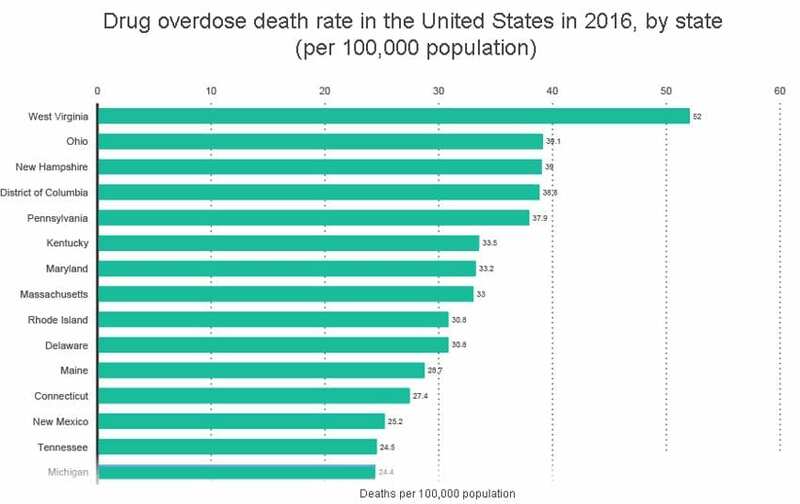 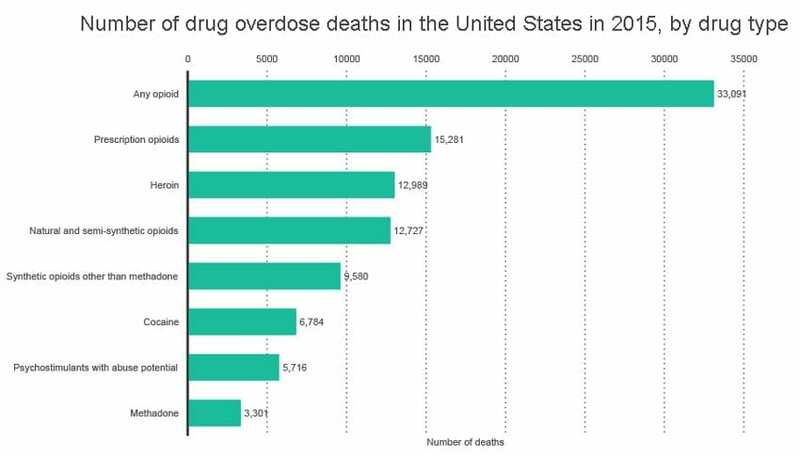 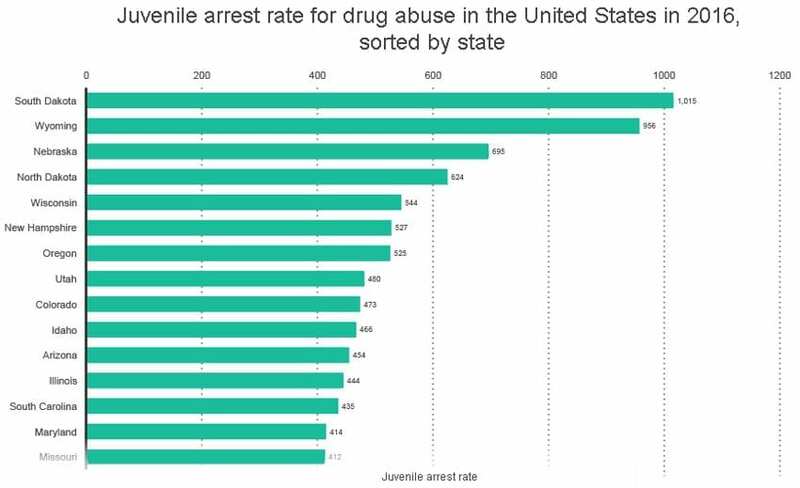 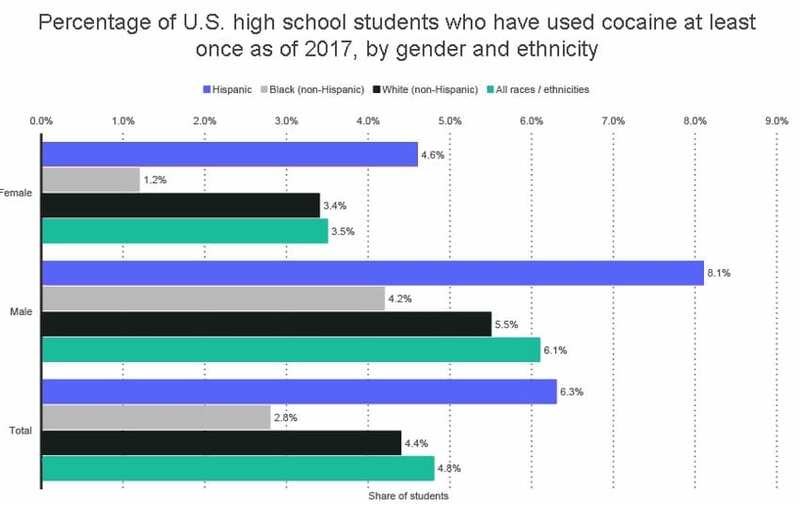 2 Prevalence of Drug Use in the U.S. 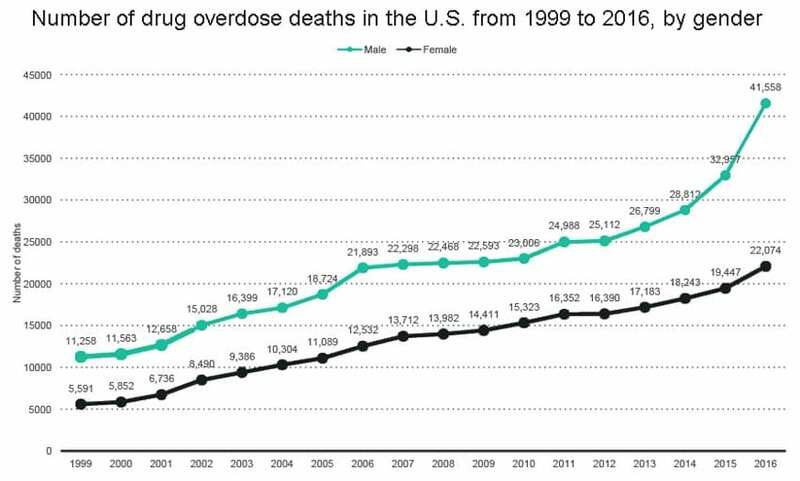 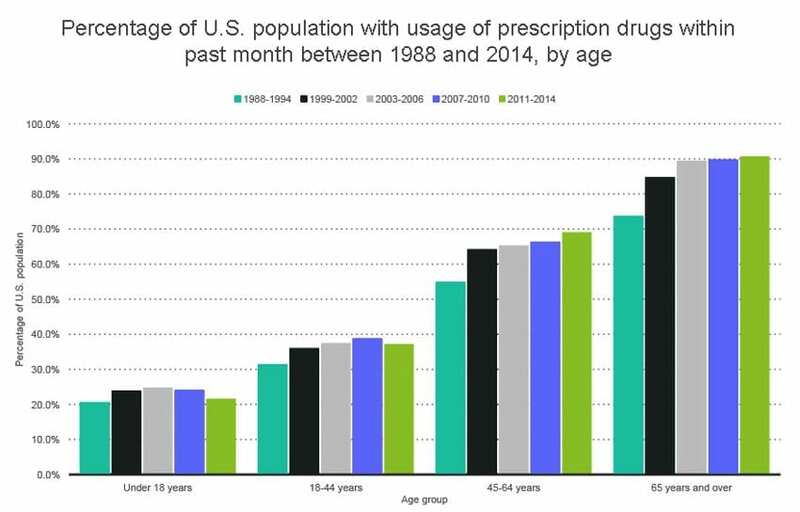 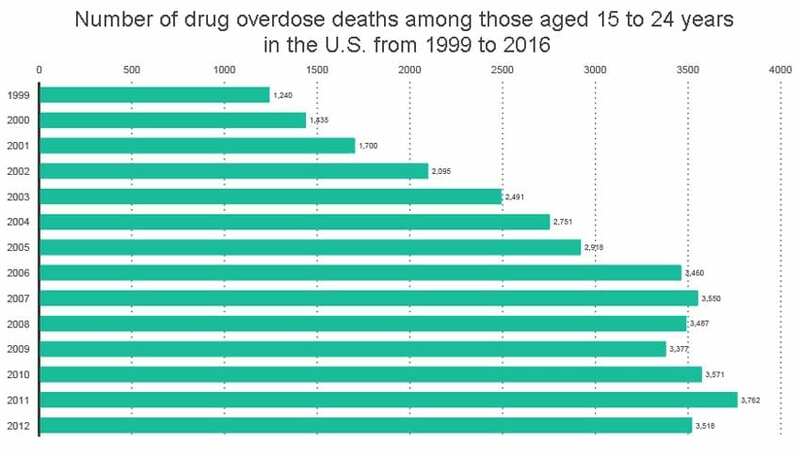 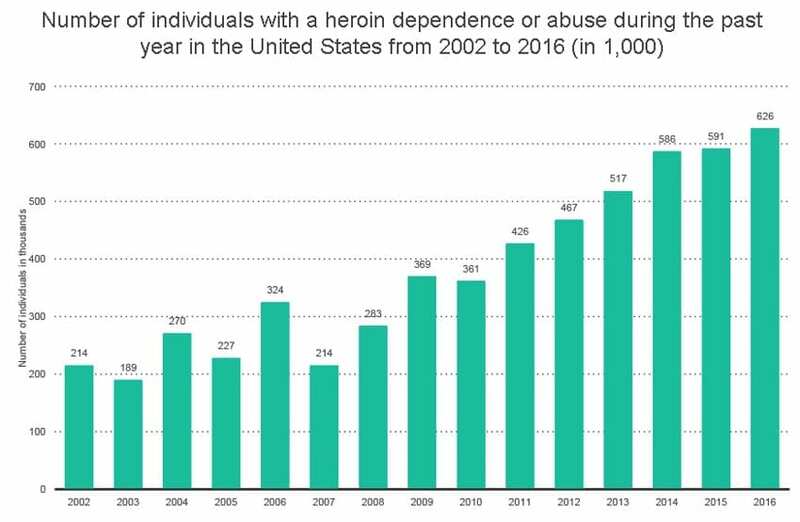 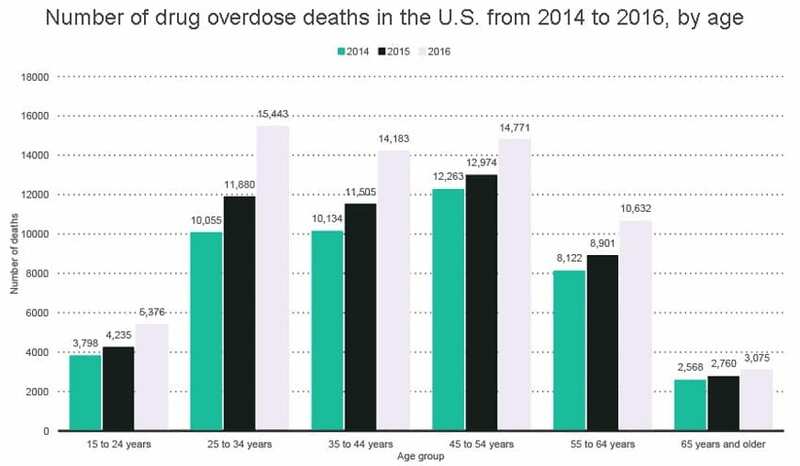 There was no single decrease in drug overdose deaths in the U.S. from 1999 to 2016; this applies to both genders. 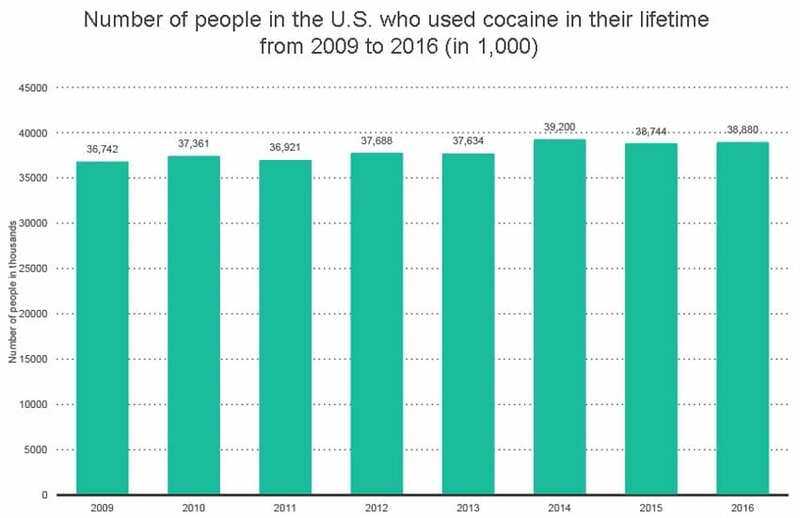 The amount of cocaine produced in the U.S. increased from 45 kg (2009) to 98 kg (2015). 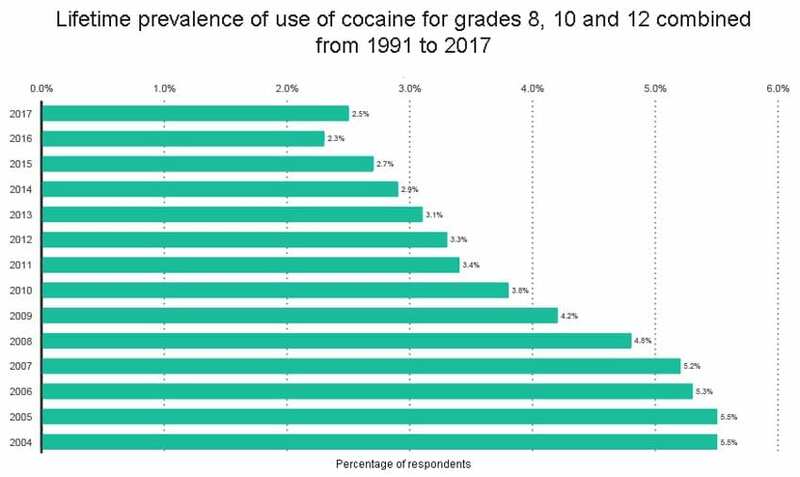 The lowest rate of cocaine production was seen in 2011, where only 7kg of cocaine was manufactured in the country. 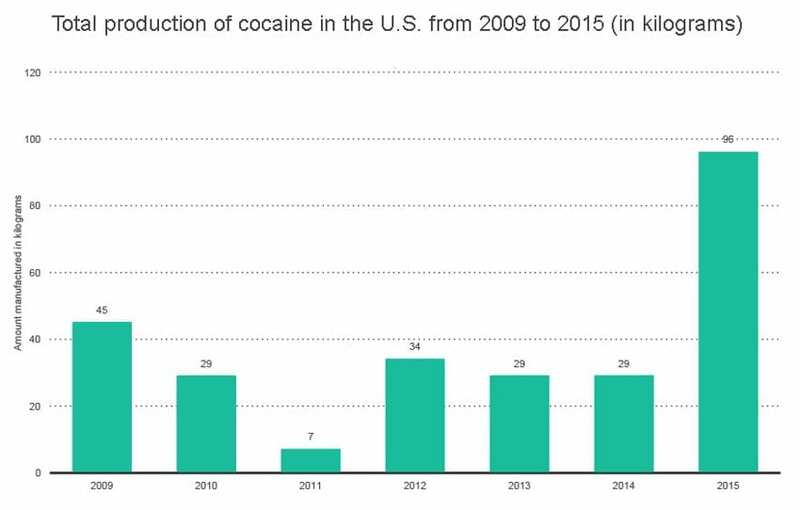 The production of cocaine in the U.S. increased 14 times from 2011 to 2015. 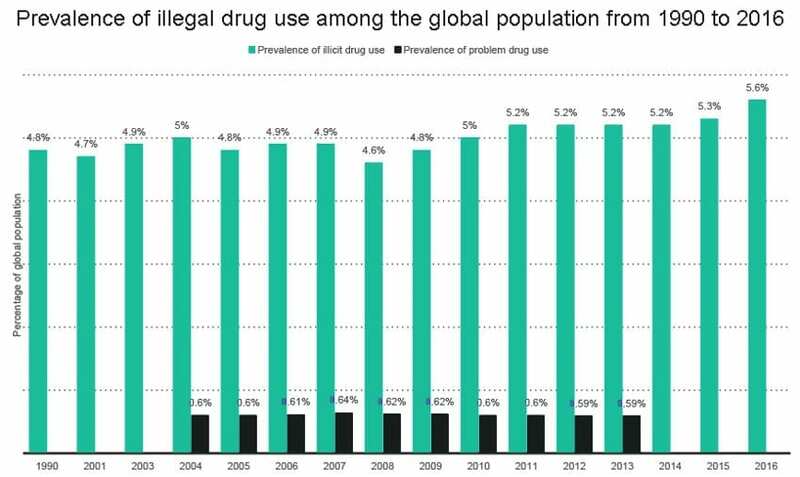 Although cocaine production was steadily decreasing from 2012 to 2014, it skyrocketed in 2015, reaching 98 kg. 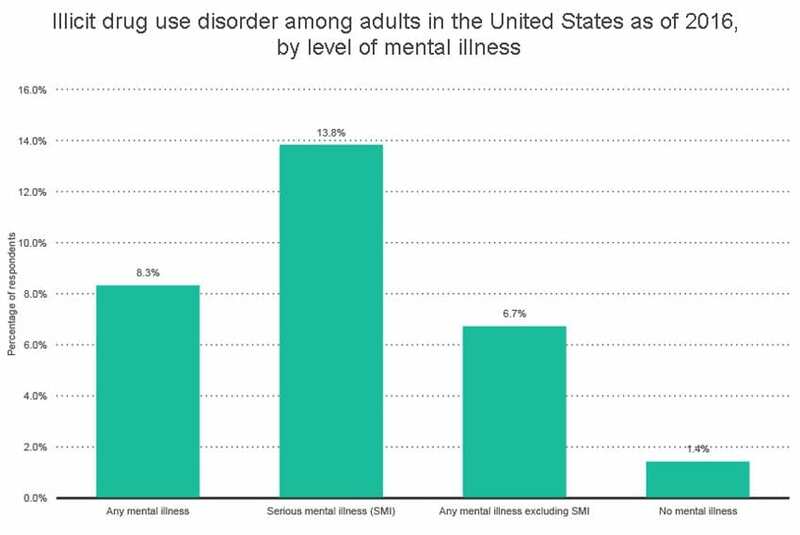 8% of respondents who suffered from a serious mental illness (SMI) reported that they struggled with a drug use disorder. 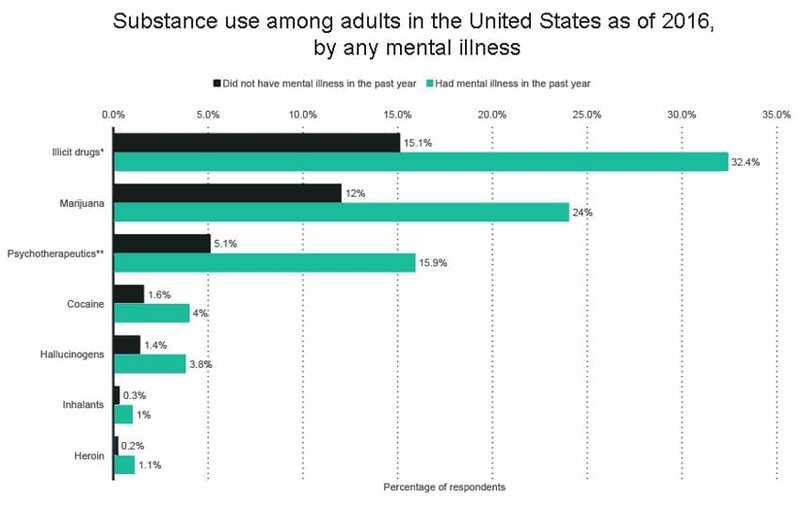 The lowest percentage of drug use disorders was seen among people who were mentally healthy. 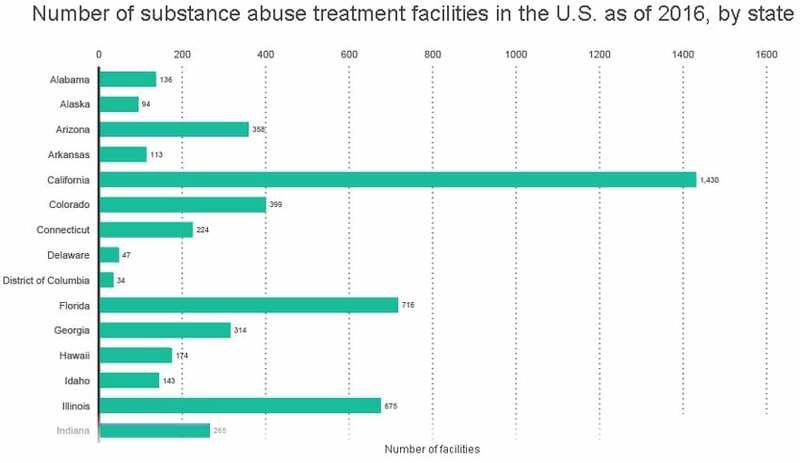 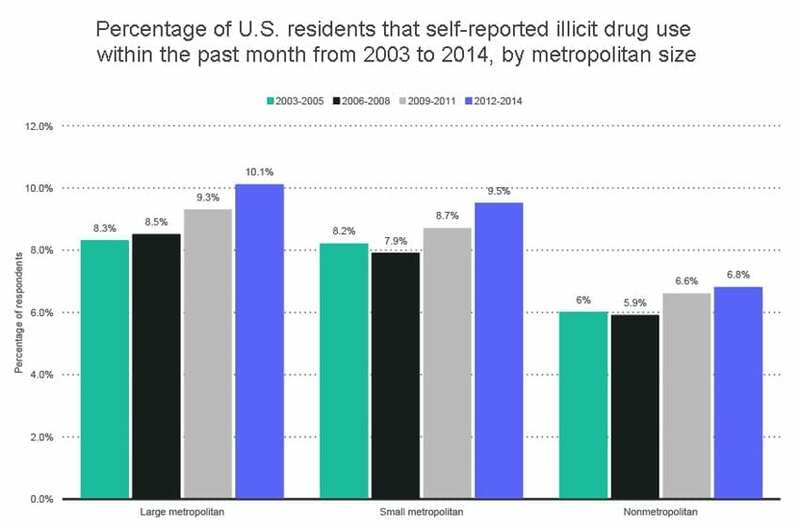 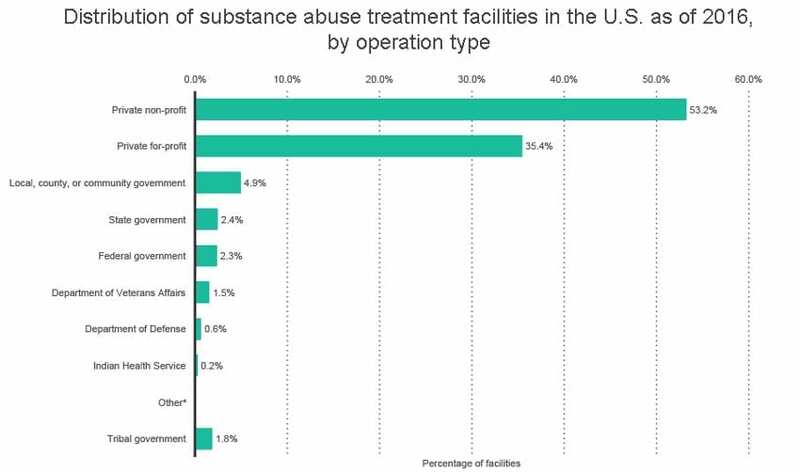 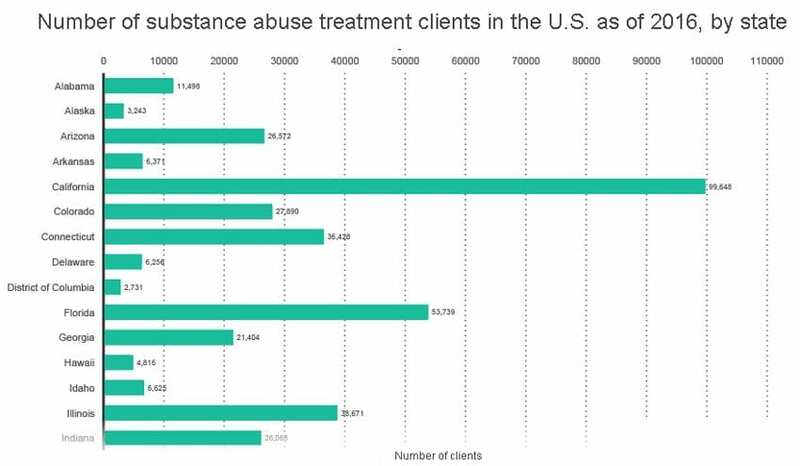 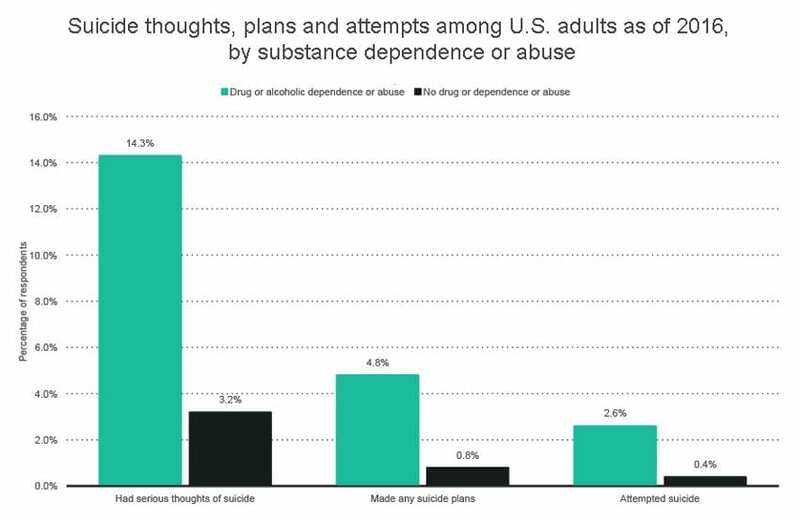 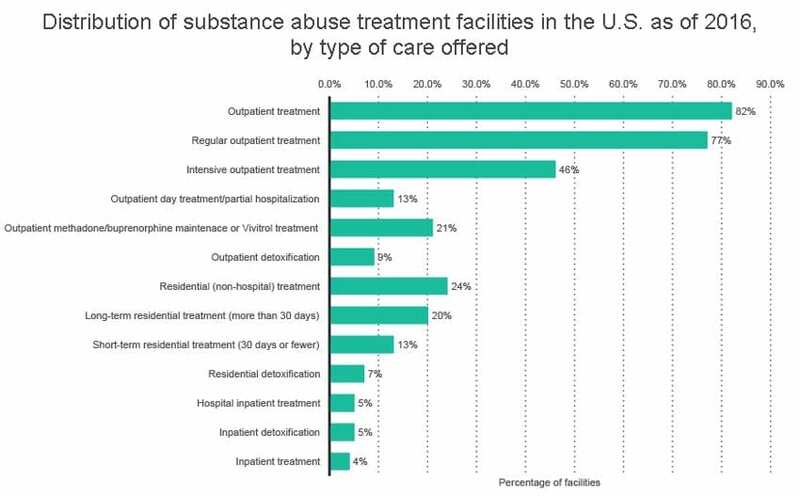 Only 4% of the respondents struggled with a drug use disorder.